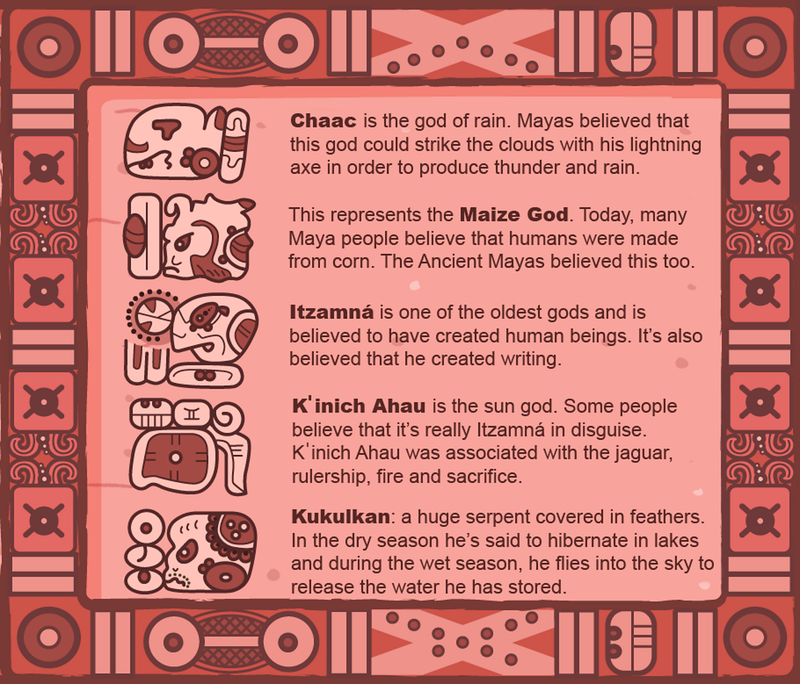 What did the ancient Mayas believe? The Mayas believed in many gods, each representing a different aspect of life. Communities made regular offerings to them, in the form of animal (and sometimes human) sacrifices. They believed the Earth had the form of a giant turtle that floated on an endless ocean and that the sky was held up by four mighty gods called Bacabs. The sky was made up of 13 levels. Those who were sacrificed or who died in battle went to one of the top levels. Those who died of natural causes went to Xibalba, the shadowy underworld, which had nine levels. 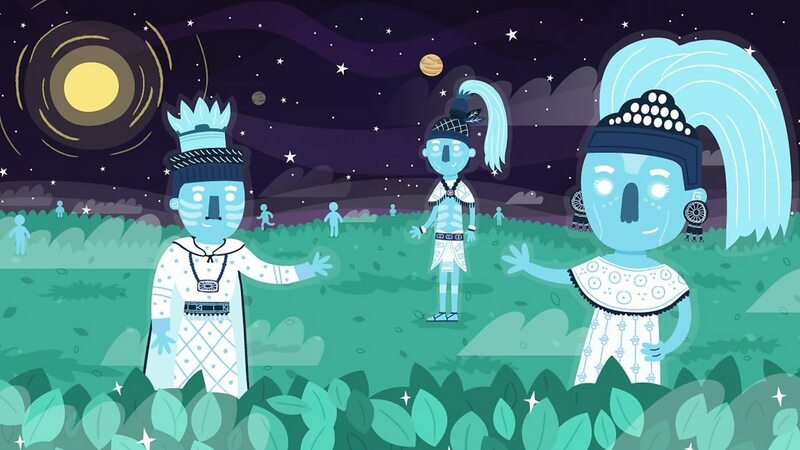 What remains of the ancient Maya?